Looking for Evergreen Real Estate such as an affordable cabin, weekend getaway or a first time home buyer can be found in Wah Keeney Park, located off Hwy 74 past Hiwan in Evergreen. This area was first developed in the 1930’s and new homes are still being constructed today. Homes in Wah Keeney Park are on public water and sewer and many have a front lawn with 2-car attached garage. There are a multitude of home styles from 2-story, ranch, bi-level, multi-level which include 800-3,200 square feet of livable space. 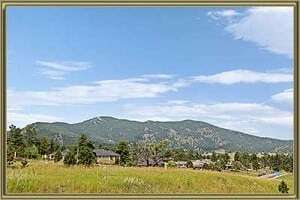 The quaint lots of a tenth to half acre at 7,500 feet provide just enough space to have some privacy and be able to enjoy the occasional deer or elk walk through your yard. Cross over the bridge leading to Elk Meadow Park with over 1,600 acres of open space and trails. Homes for sale in Wah Keeney Park feed into the highly-ranked Bergen and Evergreen schools. The famous Evergreen Lake, recreation center, shopping, schools, and I-70 are only quick drive if the Elk aren’t parading across the parkway. See what your home is worth With an Instant Home Valuation Online. Want advice on selling your house? We provide a free staging consultation, pre-listing prep plan, and a Wah Keeney Park real estate market analysis. Call us at 303-325-5690 to learn more. New to the Area? Call our Wah Keeney Park real estate agent at 303-325-5690 to schedule your tour of Homes in Evergreen CO.